One of my biggest gripes about 4e has always been in the presentation of it, and specifically the presentation of powers. Now I’m not saying that I dislike the power system of 4e, on the contrary, I find it to be a great way to spice up the otherwise boring attack, repeat, attack treadmills of old. What I don’t like, however, is the attention they call to themselves at the table. I feel that the powers concept invites detachment from the game world, which then feeds the critics of the system to say that it hinders roleplaying, or other character options beside what’s on the little card the players are holding. The difference here is that you told the players the same exact information, that the Orc has gained hitpoints, without letting them peek under the hood of the game, nor removing the, from the immersion of the situation. So if we can do it, players should be able to do it as well. In fact, I’m of the belief that player powers should stay in the realm of just being a framework for the mechanics of what they are trying to accomplish, and their resolution, rather than a description of it. Fizzy has no clue what the hell Spinning Sweep is. He just wants Ralf to knock the enemy down. And you should be encouraging the players to imagine these attacks a bit differently each time. You spin beneath your enemy’s guard with a long, powerful cut, and then sweep your leg through his an instant later to knock him head over heels. Hit: 1[W] + Strength modifier damage, and you knock the target prone. The next time he uses this power in another encounter, he could describe it in a completely different way. A hit on the knees, a hit square on the back, whatever, it doesn’t matter. What matters is that the player is not limiting his actions to the fluff on the card and what he believes is the right way to play his character. Powers aren’t straitjackets, and the characters shouldn’t always know they exist. Granted, this type of play is built up over time and familiarity with the system and the other players around the table. it isn’t for everyone right from the start. Not everyone is a born roleplayer, so work within your group’s limits. This shouldn’t keep you from aspiring to reach that level of play, if what you seek is a deeper immersion for your group. Remember, in the game world, rogues don’t go around comparing their “Sly Flourishes” with each other. So don’t let it happen at your table either. I’m in general agreement with the exception of one word: Anime. In some Anime, (at least the ones I’ve seen), when foes battle, they’re always calling out what ability or power they’re going to use. In fact, they often even overly inform of their healing surges. It’s my thought that the whole “power names and flavor text thing” is directly influenced by Anime. While I agree that players should feel free to experiment with the flavor that’s presented to them, I don’t see anything wrong with them using it. My players get pumped when the ranger calls out, “impressive Daily X incoming”, because they associate that name with the power and what it does. Of course, with any argument regarding role-playing, every group should play with whatever method they feel comfortable with. Good thought provoking post, man. Thank you! This is the stuff I’ve been trying to get my players to do, but even the role players get their imagination bogged down by the power cards. Awesome article. This is great advice. My question would be, but how does fizzy the wizard even know that Ralf has the ability to knock the guy down if he doesn’t already know what his powers do? I suppose if they’ve been playing together for a while, he would see it happening. But how does he know if that power is an at-will, or an encounter. Was it already used? It’s very challenging not to meta-game the powers and/or play 4E like a resource management simulator. I would actually let my players do what you describe even if they didn’t have a power with a “knock prone” mechanic in it. If my striker wants to knock I guy prone, it should be possible whether or not he has a power that says he “can”. He just needs to figure out what powers he has that might facilitate this and explain to me what special thing he does to try to make it happen. Then, I as the DM, need to figure out what type of roll he will need, in addition perhaps to scoring a hit, and/or what penalty he will take to make it happen. Perhaps he doesn’t have a power with a “knock prone” mechanic so I allow him to use his melee basic. I might narrate it as…..
You lunge at your enemy, deftly slashing at his throat (make a melee basic attack hit roll). As he attempts to evade you, you do a combat roll and bowl the enemy over, knocking him prone. Are you agile enough to regain your feet before the enemy? (this would tell my player to make an acrobatics check, or else they are now BOTH prone) or something like that. Basically, we house rule powers on the fly all the time (often utilizing melee and ranged basic attacks in addition to some effect). This is what we did in 1E and it worked. It also promotes amazingly imaginative combat. It takes an experienced DM and trusting players, but IMO, it’s when D&D is at its best. You are right, if the group is comfortable playing like that, there is no reason to change. This article is directed more at those complaining that the powers limit their roleplay and creativity. If a group likes calling out powers, there’s no reason to change I guess. Good point. I love this idea… In fact when we began playing D&D 4th edition I tried to encourage my players to do so, but it was REALLY hard to them to detach from the card (I think there was a problem of dissatisfaction with the system in general, but I digress) and few of them actually did it. I’ve also run into the casual player or the player who comes to the table for other aspects of the game, be they social, tactical, and are not as interested in the role-playing of describing different attacks different ways. I understand the counter argument that it is a role playing game after all but by the same token I like to play with friends and to give space to different styles of play. My role as a DM is to encourage them to do so but it’s not always possible. I love your point and I think it is a great way to address an oft criticized aspect of D&D 4th edition, and my comment is not meant as a knock on the idea, just thinking about the different type of players. Keep on the good work. I tried to do this once as a player. Most DMs seem to be ok with not mentioning powers, although I’ve had some who wanted to know perhaps from a time period where things were much more competitive. One thing that I really didn’t like was explaining what the assassin’s shroud was. I wanted it to be an awesome reveal in the narrative and instead I had to explain what the shroud meant when I placed it instead of when I invoked them. Now I realize that the enemy might know what a shroud feels like and act accordingly, but it does pull from the game a bit when the DM keeps things quiet but the players have to give up everything. this is pretty much how I’ve been doing things. One neat trick is to respond to a player after power use with “So what did that look like?” Especially for encounter or daily powers, it’s good for the table to get a visual of what that trick looks like. If you do it once or twice for each player when using a new power, the power than becomes something that player does, and builds “style” for characters. If you have players having a hard time conjuring up something, you can help and guide with questions, or suggest stuff to keep things moving until they can change it. It’s a little more time up front, but the juice is equal to the squeeze IMO. @newbiedm, Oh I know… And an excellent article it is. I am convinced that the maxim different strokes for different folk holds true no matter what. As a DM I had no great trouble with 4th ed but my players found it lacking. I don’t think you can’t role play with it, in fact you can role play with a system where the resolution mechanic is flipping a coin, it’s just the fiddly bits, some people like it some people don’t. I see a lot more descriptive use of powers in Play-By-Post than in Play-in-Person. I suspect it is an immediacy thing. Around the table it is easier to use the “hook” of the power name. In PbP where a round might take a week or more the narrative must be spelt out more by players describing so you see more description. I guess the point is: this works, we just need to practice doing it. Yep, I agree that the very nature of play by post lends itself well to this. I also find that due to the long fights in 4e, people sometimes want to get on with it and finish the fight, causing RP to go out the window. That’s why I’m a big believer in not having fights for the sake of it, but having them actually add to the plot. Aha — I, too, have felt that 4e’s powers have been taking something away from the rhythm of my game, and I couldn’t pinpoint what it was until your post. For me, this really hit the nail on the head (and, ha, I don’t care which power was used to do it). Great post; thanks. One thing I’ve done in the past to enforce living in the story is to keep character sheets out of the players’ hands. 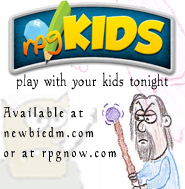 This works for low-level games or skills-based games like Call of Cthulhu or GURPS. With 4e D&D, I think the bookkeeping would be too much for me to keep up with. Then again, maybe not. Powers seem to fall into a few broad categories. You can hit someone (or several someones). You can move someone. You can do something good/bad to someone. Or some combination of these things. Utilities generally fall into the do something good category. Bad things typically incur status changes (dazed, prone, etc.) or ongoing damage. Good things are typically healing, adding a bonus to something, or ending a status condition. On a related note, I always encourage my players to ‘reskin’ their powers to fit their particular….idiom. I’ve found that players are much more likely to do detailed combat role play if they made up the power’s name/feel themselves. I have not played a lot of 4E my rule set was 2E and that’s what I played the most of. I will say this the powers in 4E work well to add flavor to your attacks to a point. More that a few powers don’t have “flavor text” at all, only having a name and damage text. I see them as Kung-fu moves like “Dragon strike” or “Viper punch” its just a name to a style of attack. Its intricate and subtle moves that do the damage and make the name. Because of that I find that difficult in the flow of a fight to elaborate on them. I also see the 4E powers like spells for cleric/mage in 2e just a name and effect and when used its “I cast magic missile at the crazed Orc!” or “I wave my arms starting my incantation to cast fireball” when your turn came around again its “I’m still chanting” and so on. In a way I liked the 2e fighter/thief/ranger combat we did using a sword and what skills you had. Using them to create your own style of fighting “I use both my swords in a double thrust then tumble past the giants legs calling a shot on his hamstring as I pass” That does slow the game at lot when your trying to make all your rolls and decide what you wanted to do. That what I think 4E wanted to get away from and in doing so took away some of the thinking making it more like a spell and less like a string of actions and result. Before I got to the part of your article that gave the card listing of Spinning Sweep, I had envisioned it as a fighter spinning in place hitting everyone around him. And that is what most players do as well. Most power names are descriptive of the power itself. As a way to it make easier for themselves (and because they are lazy) players often simply use the power name as the description. @mbeacom How does a player know what another player has for powers? Usually after the first or second combat everyone at a table knows what everyone else can do for powers. They might not know the name of the power, but after a few combats if the other player were to sue the power’s name instead of a description most other players will know anyway what the player meant. My players are worse than what you are describing. They don’t even bother with the power name. They simply tell me the damage dealt and special affects. As the GM I have to take the blame since that is also how I run the monsters. Top down and all that. For me combat is less about the visuals of it and more about the tactics. I save my descriptions for the rest of the adventure other than combat. Though I really should change that up and try to make my combats more stimulating. However, I really liked your article and I think implementing a rule that you are not allowed to mention the name of the power in your description should force players to be more creative in their descriptions. Nice post. I certainly encourage this sort of behavior, but I think there’s something important being glossed over. I only bring this up because I know at least some of this was in response to the huge Twitter folderol last night. Its also somewhat more of a personal opinion. Creatively explaining your powers in the narrative sense is not the same as creative problem solving. This sort of creativity puts the players and the DM in the role of explaining, in narrative terms, a chunk of predefined mechanics. The player starts with the rules and then has to explain what the rules actually model in the narrative. Now, I understand that not everyone will share my view of this as a backwards way of doing things. My view has always been: consider the situation in narrative terms, decide how your character responds to the situation, figure out how to model that with the mechanics. That last step, of course, is where the DM comes in. Of course, you can do that in 4E as well. We DMs like to tout “Page 42” as our new “Rule 0.” But one should consider whether the presence of so many viable, predefined options discourages players from thinking beyond their list of powers. My recent experiences have left me worried that it does, in fact, discourage creative problem solving. Put another way, I feel as if my players are being relegated to the role of special effects designers instead of participants in a story. And unfortunately, your advice really can’t do anything for that feeling. A DM I played with had heard a pretty awesome piece of advice in this vein: incentivize your players with tokens. Every time a player describes his action in-game rather than just saying he uses “Spinning Sweep”, you hand him a token. When, inevitably, he fails a check by one–if only he’d rolled a 12 instead of an 11!–you ask, “Do you have one to give me?” If he has any tokens left, then he can turn one over in exchange for getting a +1 bonus to the roll. At the table, it seemed to us that this system worked great. You still wound up just using “Spinning Sweep” every now and then–we enjoyed a considerable amount of out-of-game banter and whatnot, so we weren’t as immersive as some groups–but you had those tokens often enough to make a difference. Nobody felt it was too unbalancing (at least, the DM never complained and kept using the system), and man, was it great to be able to succeed on a check that you’d just barely failed at! Hah! Guess he’d found your site before I did. Well, if you want a play report, I can say that it worked well for us. Thanks for the great suggestion! There are a lot of variables at the table that influence how players flavor their attacks. Experience, time, involvement, mood. If the DM has the time, asking a player to describe an attack is, IMO, a nice compromise. I’m in the process of building a point-buy system for powers wherein the effects of the powers (e.g., number of targets, damage, condition imposed, special movement) are all variable and determined by the player on the fly, from a pool of points relative to their level. A basic attack has no “cost”, but an encounter-specific one does. I think this will encourage players to be tactically creative. The tactical action creates the narrative. Describing the effects of a spinning sweep of the leg or staff is fine. But it’s the timing and intent that have narrative impact for the group. This isn’t a problem with 4E or the power system. In 3.5 people did this with their feats, spells (and I notice you only single out martial powers, here), and other tactics. If this bothers a player, the won’t do it, though there should always be some clarification of exactly what rules are being applied, say a description and an brief mention of the exact power. That won’t damage immersion as much as a rules argument would. We’ve gone from “I attack… I attack… I attack…” to “I use Spinning Strike… I use Spinning Strike… I use Spinning Strike…” The advice to describe in greater detail what is going on is good, but ultimately the players need to decide that they want to describe their attacks. I think it largely has to do with how much the GM says “He attacks you… take 14 damage.” Some of the worst convention games I’ve played have had GMs doing that. But when a GM describes an awesome maneuver that the enemy did (just a creative description of a power), then players are more likely to do the same. Still, some players need more prompting to get off of just saying the power names. For things like the Bard’s “Vicious Mockery”, I often ask “What are you saying to him?” which leads to some of the most amusing one-liners of the night. We’ve also got a running joke about “What is the Word?” with the Cleric’s “Healing Word”. BTW, in Matt James’s Dark Sun home game, he gives a 1 bonus to the attack roll if you describe it. That helps encourage role-play. Yes, there has to be a bit of “lead by example”from the DM, more so in cases where the players are new to RPG’s or aren’t as secure or comfortable in roleplaying as others. Also, there needs to be an understanding that not all players are interested in this type of immersion and just want to get on with it. DMs shouldn’t force the issue either… But that’s part of the “expectations” talk at the start of a campaign. First, I love your post and what it aims to accomplish. My disagreement is that this is somehow an issue intrinsic to 4e. The same exact issues occur during my 3.5 and PFRPG games as well. I think everyone can benefit from your article and improve upon giving descriptions. I think it’s the trend towards non-literal descriptions of powers and abilities. This could be due to a desire to create product identity, I don’t know. That’s an example from 4e, but if you created a race, class and spell in 1e, 2e, 3e, Rifts, or any other RPG with those words it would have the exact same affect at the table. It’s not about the edition or the mechanics as much as the terms being much more esoteric now. I got to play a dwarf fighter in H2 as a guest in a game once. We were fighting duergar in a trading post, and my fighter had Tide of Iron as an at-will . At one point, as he jumped down from a table, I described his shield-out stance. Later on, he pushed the female duergar theurge down the hallway, reciting as he did a story from a dirty scroll he’d had as a teenager about a duergar whore. It made the whole thing more fun. For me, it was the most memorable part of the game. There are times when that doesn’t work. A high-tension situation, perhaps. But in lots of situations, I think players will have more fun if they’ll describe their battle scenes. I have the idea that 4E power names work like 3E feat names did: you have an ability, but your character doesn’t necessarily call it that. Perhaps his ability is described as such by others: “Regdar can really hold the line,” or “I’ve seen Tordek cleave from one orc to the next in an instant”. In the novel Cormyr, there’s a clever section where a wizard describes casting Protection From Evil, without calling it such: “I even attempted an abjuration against possession by the tanar’ri.” That sense of a storylike world is really important, I think. That’s it, you nailed it. I see it the same way. My main problem with this is that my players are slackers. They have two DDI subs between them (strictly to use the character builder), and that’s all; no rulebooks, no supplements, no nothing. Which means I am pretty much the “cheat police” (and, bearing in mind that we’re all new to D&D, with only a couple of us having limited experience with former rulesets through PC games, this is our first paper campaign ever), and if the group’s Barbarian doesn’t declare “Avalanche strike!”, I won’t know to apply the -2 penalty associated with it that he ALWAYS forgets to mention. Oh, AND of course, I need to know how many HP to remove from the monster, itself an inherently meta-game piece of information that is an unavoidable part of the narration. Enjoyed this post. I have one player who makes an effort to roleplay/describe his powers -he’s a warlord mutliclassed as bard so this means some amusing songs and chants for each one. There are one or two others who occasionally say a bit more than “I use holy strike”. I don’t have anyone describing the same power in different ways! There are a few powers in 4e – blinding barrage is one & many powers that slide – that I think most players would have trouble describing in a way that makes much sense in the game world. How do others handle this? I’m cross commenting, because I’ve been involved The Weems similarly excellent discussion of the same topic (http://www.theweem.com/2010/11/10/4th-edition-vs-roleplaying/). The discussion has lead to me wonder if we DMs (self included) aren’t missing something important here. Here’s the elephant in the room: if your players will engage in certain behaviors only when given a reward or cajoled into doing so, is it really good DMing to try and bend their behavior. I’m not excluding myself here. I certainly use techniques to encourage roleplaying and creativity. But, as a DM, I’m now wondering why the behavior has to be pushed and, if the behavior has to be pushed (and, with some groups, pushed hard), does that mean that DM is actually imposing a style that his players don’t really want? This question doesn’t have to be about RP in combat. It can be about anything that the DM tries to create additional incentives for that would otherwise be left by the wayside. But its a question that is almost never raised in these discussions. The assumption just seems to be that is good for the game and therefore the DM should do whatever he can to encourage it. Shouldn’t the DM be more concerned with the game the players want to play? I realize this question is further complicated by the fact that you have a group of players (DM included) who may all want different things from the game and therefore, the DM does occasionally need to facilitate a compromise between different styles of play so that everyone gets to enjoy as much of the game as they can. I also realize that it can be argued that the DM’s stylistic needs do take priority because if the DM is not fully invested in the game, the game doesn’t happen, whereas players can get by with a lesser investment and everyone can still have a good time. But, the question is especially valid if, once the reward is removed (you stop using the tokens or mechanical bonuses) the players go back into their old ways. Because that shows that they aren’t doing doing it because its more fun (or at least that the challenge of roleplaying creativity outweighs the fun), but that they are doing it for the bonuses. I think angry makes a good point, but may be missing a larger goal. The reward system isn’t just to get people to act a certain way, at least not at my tables. It’s designed to incentivize (sp?) experimentation, getting people out of the comfort zones. I don’t think people are playing differently than what they enjoy in order to get the tokens. I think the tokens get people to do what they otherwise wouldn’t because they get lazy, fall into habitual behaviors etc. In my experience, you don’t need to have the incentives be permanent. They are a learning tool. You promote good role play with mechanical rewards and eventually you don’t need them anymore. Role play doesn’t come naturally for a lot of people. They need to see others do it and get comfortable with it. They need to experiment. This can make people feel exposed. The mechanical incentives will help them get over this hump until they ARE comfortable and they realize that it makes it more enjoyable for everyone. Obviously if your players are beyond hesitant to the point of resisting the efforts to evoke stronger role play then you need to rethink your DM strategy or even your group composition. But in 26 years of running games, I’ve not had a group that didn’t eventually (and usually pretty rapidly) warm to the idea of more roleplay regardless of mechanical kickers. No, I get the goal. I understand the “try it and you’ll like it” mentality. And I’m not speaking here about my own group or any particularly experience. I’m speaking in the larger sense of whether we, as DMs, ever really question that this is good DMing. Its one of the a priori assumptions of DMing discussion: its a good thing to encourage roleplay/creativity however we have to. For instance, has any DM out there taken away the incentive after the group has “warmed to the idea” to see what happened? I guess if I’m questioning the basic assumptions of good DMing, performing secret sociology experiments on your players is something I probably shouldn’t encourage. So, okay, you’ve been DMing for X-ty X years. Me too. And you say you’ve never had a group that didn’t warm to the idea. But how sure are you? How do you know they weren’t just responding to your cues and encouragment? How do you know that they wouldn’t have been just as happy without a lesser level of roleplaying and creativity? There are players out there who will never warm to it and don’t want to be bothered. In my X-ty X years of DMing, I’ve had a few. I’ve also noticed that if my own investment in the roleplay drops, my players’ also drops. The DM sets the tone and all that. But that shows that they are impressionable little buggers, aren’t they. Not to mention that, for all that we DMs say that players will leave a bad game, we know that players can also stick out a bad game for a variety of reasons (friends in the group, its the only game around, its easier than looking for a new group). This is, after all, a game. Its for fun. Why is it a given that its good DMing to push people out of their comfort zone? If nothing else, that seems very altruistic. Because in my X-ty X years of DMing, I’ve had players that were resistant, where I had to work very hard. And that was a pain. Why should I have bothered? Heck, it would have been easier not to and I still would have had a good time. More to the point, I think we can all agree that there exists a point when this “good DMing” does become “bad DMing,” that is, the point at which we are pushing people against their will and making them unhappy. But there’s also a spectrum. 1) As an individual DM, how do you recognize the line. 2) As an individual DM, have you ever questioned whether you were on the right side of that line. 3) Why is it impossible to have a discussion about DMing without someone eventually mentioning how long they’ve been a DM? It’s not “try it and you’ll like it” for me at all. I don’t think I know better than my players. That’s not what I’m saying. I’m saying “try it so you know if you like it or not”. Once you know what you like, you can move on from there and have the experience you’re looking for. Absolutely. I’ve dropped almost all the incentives I used initially with my experienced groups. It has become totally unnecessary, and even redundant. Completely. I’m very open with my players. With people new to the group, or with new groups, I always leave about 1o minutes after we finish up, where I’m packing my bags up and I ask questions. I ask what people liked. What they didn’t like. I gauge the fun factor based on their responses. If something seems to have hampered that fun, I do it less. If it seems to have increased the fun factor, I’ll do it more. This includes incentives for role play, or other experiments (which I do a lot of). Of course people respond to cues and encouragement during a game, but not just from the DM. If I or any of my players bring a high energy level and enthusiasm, that will rub off. Likewise if I’ve had a long week and I come to the table tired, the experience may be less enthusiastic. However, in those cases, someone else in the group often steps up to fill the void (we’ve talked about this too). Everyone has good and bad nights. It’s normal. However, I don’t think it’s a mystery if the night was good or bad. It’s pretty easy to tell if people had a blast or if the experience was ho-hum. Mainly because I start my campaigns with very little RP incentive. I watch who does what and question if people want more. If they want more, I’ll give more personally to show people what it looks like. If they seem interested but have a hard time committing, I’ll help it along mechanically. If they want less, then I’ll plan more tactical/bigger/better combats or whatever seems to make it fun for the group. Over time, you strike a balance based on player response, communication and feedback. Obviously there are varying degrees of interest from players, but the desire for improvement in that area has been nearly universal. If a single player tends to be more of a spectator, I’m fine with that. I’ll talk to them to find out what they most enjoy watching occur and what level of participation feels right for them and then I’ll try to incent that for them. Most all my incentives are designed to make the game play out in a way that is satisfying for the players. This is a double win because I don’t play with a mindset of what I want from the game outside of creating a fun experience. I enjoy gaming most when my group gets what they want from the experience. If my group seems to have had a ho-hum time, I’m personally very disappointed in myself and in potentially wasting peoples time. I want people to walk away in a great mood, and hungry for the next gettogether. In my experience, this happens most frequently when the group, or members of it are enthusiastic of all the elements, including RP. I think this sort of goes without saying, not necessarily that it’s good DM’ing but that it’s important to do so, at least initially. I’ve not met many people (outside of theater) who are comfortable with impromptu creativity in the presence of others. Improv is not generally in peoples comfort zones. Particularly in D&D when the parameters are so broad. What’s acceptable? What’s not? Is the game designed to be humorous? Stone cold serious? A parody? These types of questions are not really covered well in the books. I think a good DM will do what’s necessary to set boundaries (or remove them) so as to make the game productive for his/her particular group. Sure, but I don’t think a DM giving out tokens for certain behaviors is exactly “pushing people against their will and making them unhappy”. No one is talking about standing over a player and demanding they RP “better”. In fact, quite the opposite. When I use incentives, they are completely arbitrary. They are based on what appears to be the player doing things they way they enjoy, really having fun. If a player at my table absolutely refuses to RP, but instead just loves the tactics of combat, then I would give him incentives when he ups his game and offers some impressive tactical decision. This would demonstrate to the others that this is also good play. This would hopefully get them to rethink things and maybe get some additional enjoyment out of tactics, or at least appreciate what the player brings to the table. I talk to my players and let them decide where the line in drawn. If they like incentives and think it makes the game better, I’ll do it. If they think it is a hindrance, or no longer necessary, I simply stop. Pretty much every game I play and every campaign I run. Hopefully all DM’s are at least marginally introspective and self aware enough to ask these questions. And hopefully they are open enough with their players that any question they miss, will get brought up. Whatever skills I have as a DM, have pretty much all come from feedback from my players. Like any pursuit, ones opinion gains validity with experience. You don’t become an expert at something overnight. Particularly in D&D, which has had several pretty significant revisions over the decades. If I give an opinion on something that I’ve only been doing a few years (or if I’ve only DM’d 1E, or 2E, or 3E, or 4E, or whatever), I’d expect it to hold much less weight than if I’ve been doing something for decades across all iterations of a game. There have also been several different schools of thought to come and go over the past 30+ years of the hobby. Familiarity with those changes means you’ve probably got a good understanding of where the game is today, based on where it’s been in the past. You know, I just want to say that I very much regret making the snarky remark about the length of time spent DMing. Its one of those things that just raises my ire, a pet peeve. Because it is often used as an appeal to authority. A person’s thoughts, ideas, and arguments can be judged on their own merits. I apologize. I also hope that it doesn’t seem like I was attacking you personally. I respect that you’ve been so introspective about your own DMing technique. I hope that I’ve encouraged others to think about it. I hope so too, and I certainly think the folks here who are keeping the discussion going obviously do take time to think. But its still worth challenging the assumptions we take for granted to invite other DMs (especially the less vocal ones and the ones who don’t have the same level of experience) to reflect on their own campaigns. Absolutely. I see no fault in any of the questions you raise. They’re very good questions. My only issue is that the way you worded the questions comes across as assuming the answer is a certain way. I doubt you meant it like that but anyway….. I hope my mentioning a time frame of DM experience didn’t come off as snarky. It was not meant to be. I can certainly understand that it could come across wrongly. I very much respect your opinion, and have ended up on your blog more than once. Keep up the good work and keep asking the tough questions. In endeavoring to answer them from my point of view it has definitely got me to thinking about things more. Even though I work hard to give my players a variety of experiences, I can get too habitual too. Complacency is the real threat I think. Not necessarily lack of RP. You asking those questions has achieved exactly what I try to do as a DM. You may have nudged me out of my comfort zone a bit and made me reconsider perspectives I had pretty much settled. I think that’s a good thing. The game is always changing, and so are its participants. Lessons I learned years ago probably need to be re-evaluated. I do agree that it’s much easier to just say the name of a power (if that) and that people are often by nature lazy, and so it’s no surprise that they’ll default to that. I’m all for encouraging them to go beyond what’s printed on their character sheet, though, as I think it lends to the fun and immersion in the game/story. Another Bravo comment on this post. I didn’t really push this sort of thing the first couple of times I played 4e, but l will be in the next session, and I’m going to make sure I do it from my side of the screen too. I totally get where you’re going with this post in terms of trying to get the game out of the way of role-playing the character. My opinion on trying to rp the power abilities is that during a combat it’s too much of a pain in the rear end to do this reliably. 4e is really two games, the role-playing game and the miniature war game. I’ve found it much easier to run things by developing rich, deep plot that forces role-play and accepting that people will use “spinning sweep” or “open the gates” during the mini fighting game. Of course, I have players that prefer their characters be turned into character “decks” and plot be turned into “journals” kept in most cases in marble notebooks. Mileage varies by group. I love the way you have put this. I am going to print this article and pass it out to my players. For 3.x I’ve let people declare what feats they use simply because I haven’t memorized them. Knowing which rules I need to adjudicate makes my life easier. It would have been nice to have a combat card such as in 4.0 which the player shows to the DM. Fortunately, most of the people in my group add descriptives before or after. I’ve found the meta declarations + descriptive had another effect. It lets other people see your “cool powers” in action and they are inspired to go out of the box in character concept, pc construction or play style. At the very least they try to equal or top the quality of another player’s descriptions. That makes things more interesting for my group.